Having a baby is one of the most special and memorable times in life, and at KSB, we know that every mother and baby deserve the utmost in care. From prenatal care to labor and delivery, you and your baby’s health and safety are our top priority. Our birthing suites allow mothers to remain in the same room for all stages of the birthing process and offer comfortable amenities for your birthing support person as well. All rooms are equipped with a spacious recliner, refrigerator, and oversized individual shower. Our skilled and compassionate staff help to make The BirthPlace at KSB an excellent place for mothers and families. 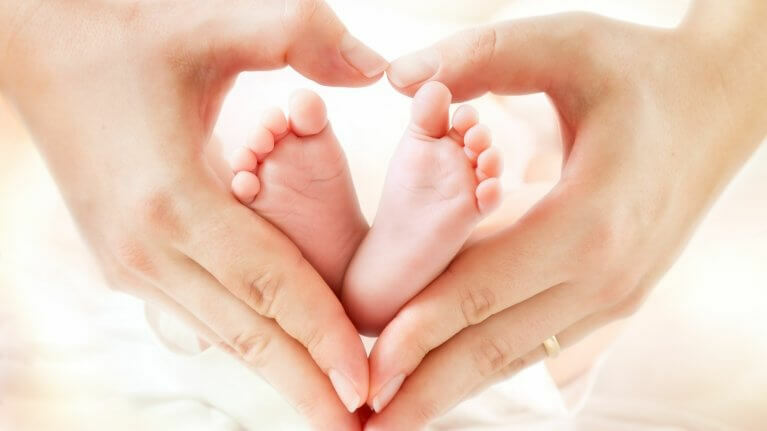 Our experienced team of Obstetricians provides the best patient care by forming a close connection with each of our Mothers-to-be. In addition, we also offer a Warm Line – (815) 288-MOMS – a 24-hour direct line to The BirthPlace, for any questions about mom or baby after discharge. At KSB Hospital, we believe pregnancy is a special time in the life of a woman – a time for pampering and loving care. It is also time for learning about childbirth and infant care. With that in mind, we promote childbirth education classes for the expectant mother and her family. Whether you are in the early months of pregnancy or still in the planning stages, KSB can help you learn all you need to know! Our childbirth education classes cover the stages of labor, as well as post-partum and infant care. Visit our events page for upcoming information on childbirth classes. At KSB Hospital we are committed to providing the best care possible for mothers and their babies. We are proud to be the only hospital in the Sauk Valley to have earned the nationally recognized Baby-Friendly accreditation. This prestigious international recognition is a global program sponsored by the World Health Organization (WHO) and the United Nations Children’s Fund (UNICEF) and distinguishes hospitals that provide an exceptional level of care that promotes optimal mother-baby care, bonding, and feeding practices. At KSB our goal is to encourage and assist new moms with breastfeeding because of the extensive health benefits for mothers and babies. We also understand and respect the mother’s choice to not breastfeed and we are honored to give you and your baby the best experience possible. Breastfeeding can be challenging initially for many mothers, which is why our certified lactation consultants are on hand to guide mothers during their hospital stay, as well as upon their return home.